Husqvarna Automower 310. Suitable for lawns up to 1,000 square metres. Third generation of Husqvarna Automower, suitable for lawns up to 1,000 square metres. For an appreciation of what an automower can do - Please look at this video of Husqvarna Automower Testimonials. Tried and tested and proven random cutting concept will efficiently and automatically maintain a beautiful lawn. It is very user-friendly with an intuitive backlit control panel and electrically-powered dial-in and dial-out height adjustment. The Husqvarna 310 has a PIN-coded anti-theft alarm for added security. Optional Install kit is required if you are performing the install yourself. Depending on your distance from ourselves - Steam and Moorland Machinery can price up for Installing your Automower, or you can purchase the (optional) install kit and install it yourself. How to Install your Husqvarna Robotic Mower can be seen HERE. More details of the Husqvarna 310 Robotic Mower can be found HERE. IMPORTANT. 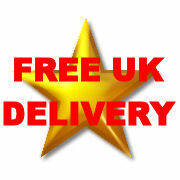 Customers from UK or EU - We are (relative) EXPERTS in Automowers. Just email us at sales@steamandmoorland.com if you have ANY questions. Alternatively, you can telephone (01751) 475666 to order, or for more information or guidance on Automowers. Or Send us an Email. Thank You. We have been ACTIVELY selling robotic mowers for over 10 years. We consider ourselves to be experts. Any questions - just email us. Write a review about "Husqvarna Automower 310 - Robotic Lawnmower"
We want to know your opinion! 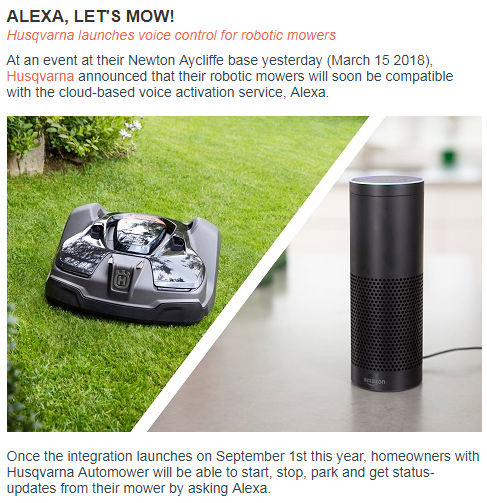 Write a review about the product “Husqvarna Automower 310 - Robotic Lawnmower” and win a National Gardening Gift Voucher of £25 ! Are you looking for the product "Husqvarna Automower 310 - Robotic Lawnmower"? We offer this product in our garden centre in Pickering, North Yorkshire. You can order the product "Husqvarna Automower 310 - Robotic Lawnmower" online or you can visit our garden centre in Pickering, North Yorkshire or for more information about the product "Husqvarna Automower 310 - Robotic Lawnmower". We look forward to seeing you soon!